The ruling class have the Anti-Austerity Alliance in their cross-hairs and are determined to use everything they have at their disposal to try to inflict maximum damage against it. The reason this is happening is because the AAA is a key force in building something which they fear – a movement of working class people. 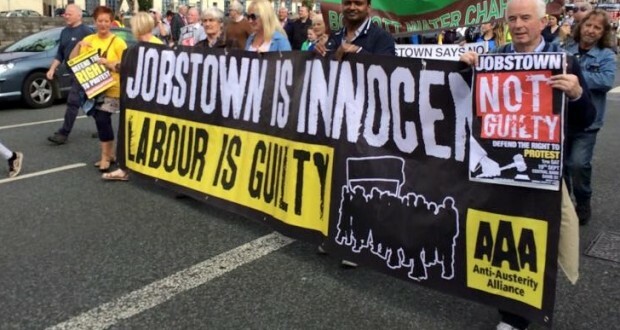 Already, as part of the establishment’s attacks on the wider anti-water charges movement, 4 AAA members including Paul Murphy TD and two councillors, along with over 20 people from the Jobstown community face trumped up charges for taking part in a peaceful, sit-down protest against Tánaiste Joan Burton. This follows on from revelations in the media about a secret Garda surveillance operation targeted at water charges activists. 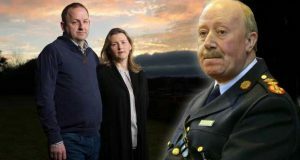 This operation, including phone tapping and car tracking, is run by the Garda Commissioner’s husband. One of those targeted is reported to be AAA TD Paul Murphy. This is an undemocratic manoeuvre on the part of the state to attack people’s fundamental right to organise protests. It is even more sinister that an elected representative who is seen by many to have played a leading role in the campaign against water charges is targeted in this way by a shadowy operation in the Gardaí. While trying to criminalise and spy on its members, the state is trying to financially strangle the AAA. In September, with an election just around the corner, the Gardaí in Dublin South West and Galway refused permission for the AAA to fundraise – in case the money is used for ‘unlawful activity’. This is a disgraceful attack on a democratic, opposition, political party. It is an attempt to financially cripple the AAA in the hope that it will stop it from gaining more seats in the upcoming elections. Why are they targeting the AAA? The mass 57% boycott of the water charges has shaken the political establishment in Ireland. 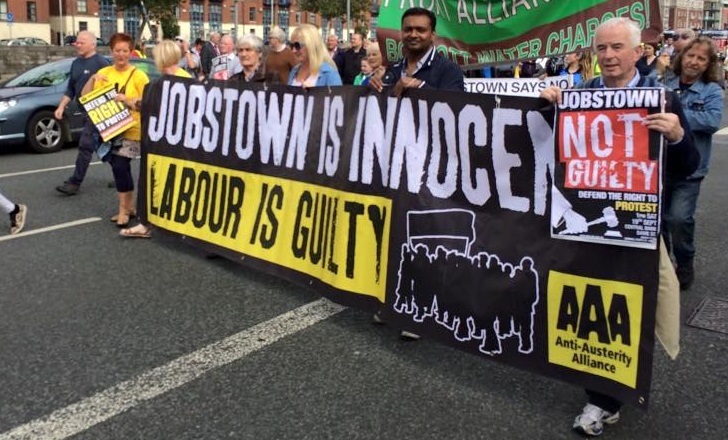 Since the beginning of the movement the AAA has been consistent and to the fore in advocating the boycott as the tactic which could bring Irish Water to its knees and defeat the government. In the final analysis, non-payment is the key weapon by which the water charges battle will be won or lost – we know it and the establishment know it. This explains why the AAA is now being targeted by the establishment and the Gardaí in retribution for the role it has played as the militant, non-payment wing of the campaign. The capitalist establishment want to take on the AAA because what we are trying to build represents a real threat to them – not a house trained parliamentary opposition – but a Left, socialist, movement of working class people. 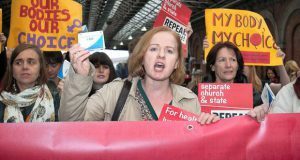 The movement against water charges has shown that the working class when it is mobilised can be the motor force for real, rapid change in society. In this supposed ‘recovery’ the 1% like Denis O’Brien and Apple gorge themselves on profits, while the 99% continue to suffer unemployment, poverty and homelessness. New movements of the working class can emerge at any time, the anti-capitalist politics and ideas of the AAA will be key to the development and success of these movements and to the development of a new mass workers’ party which can topple the establishment.